Lenstip.com editors don't reply to e-mails with questions regarding what camera/lens to buy etc. If you have any questions regarding contents of Lenstip.com write an e-mail to: lenstip(at)lenstip.com. If you have any questions regarding layout and functionality of our website, or if you find any bug please write an e-mail to: r.olech(at)lenstip.com. 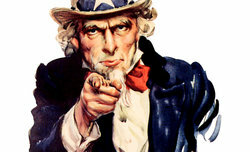 If you wrote interesting article and you want to publish it on our website send an e-mail to: lenstip(at)lenstip.com.